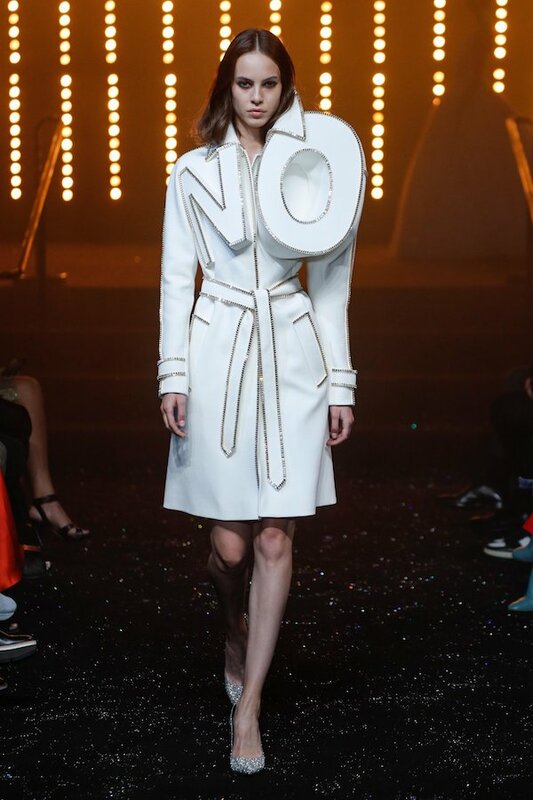 Avant-garde fashion house Viktor & Rolf brought the world of the internet and Haute Couture together during its Spring/Summer 2019 show in Paris, when memes took over the runway. 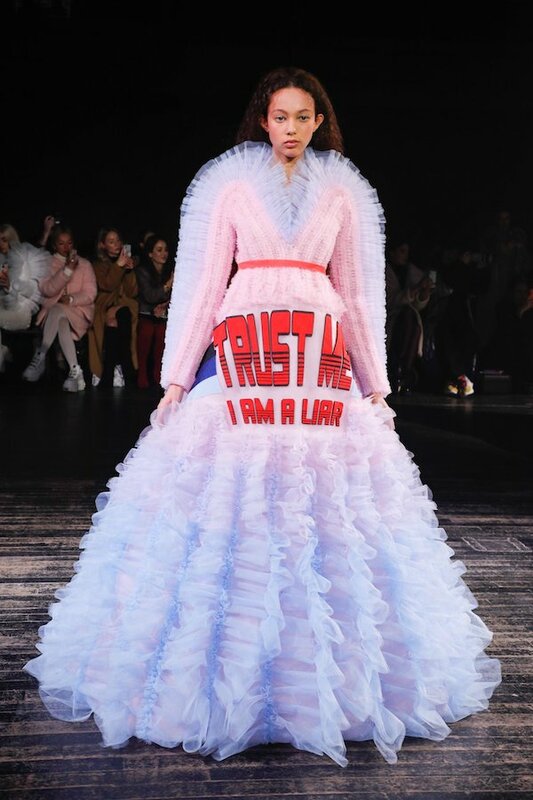 The flamboyant tulle dresses became canvases to display some of the funniest memes and slogans that define contemporary pop culture. According to the brand's website, the colourful collection was made of eight kilometres of tulle. 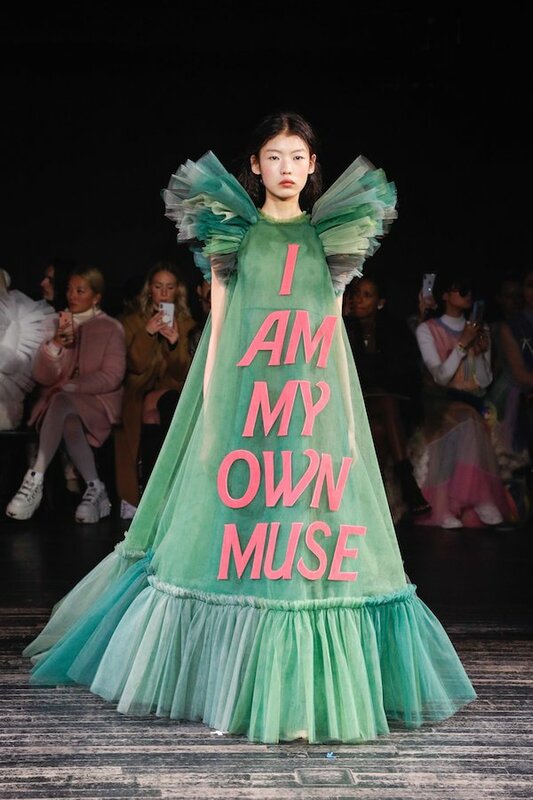 “NO PHOTOS PLEASE,” “I AM MY OWN MUSE” and "I'M NOT SHY, I JUST DON'T LIKE YOU," read three of the dresses. However, the celebrated designer duo did not just stick to memes, but also displayed powerful statements about our world throughout the show. 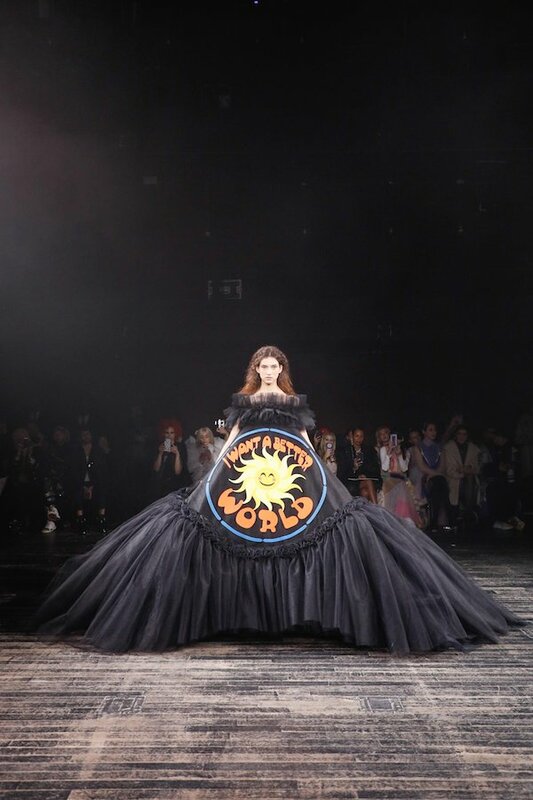 For instance, a black A-line gown read “I WANT A BETTER WORLD” around a picture of the sun with an emoji face. It's not the first time that Victor & Rolf use their haute couture show to spread bold messages. Last year, their Fall Couture 2018's The Immaculate Collection had the word “NO” 3D-printed on many pieces. 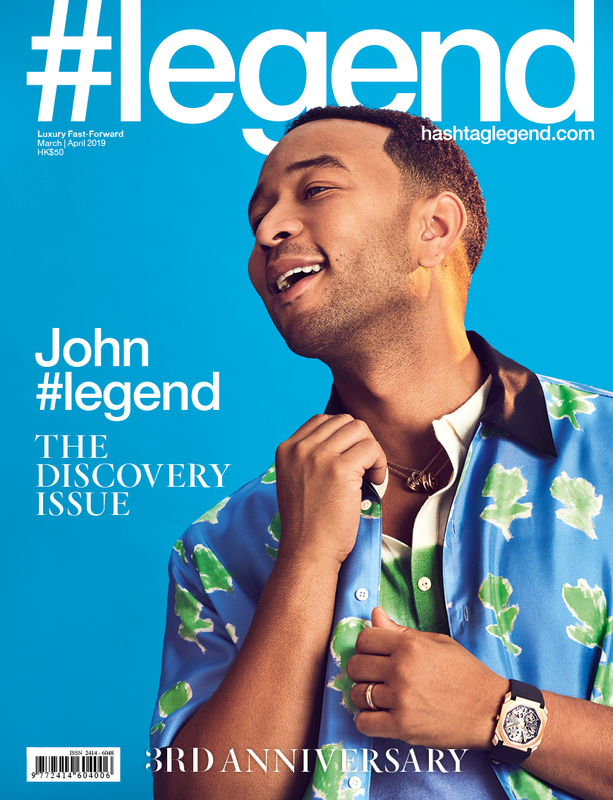 Many in the fashion industry took to social media to praise the duo for their courage and for using their powerful platform to raise awareness on important issues.